Find out why businesses across Australia, Great Britain, the US and Canada love SortScape. Bad weather strikes, employees call in sick and plans change. Your weekly schedule is out-of-date almost as soon as you create it! SortScape shows you what your team can get done given the situation so you can rapidly create and update your schedule with confidence. It’s as simple as dragging and dropping. Spending too much time on paperwork at the end of the day? Employees can enter their time spent and materials used from the field which saves everyone time. 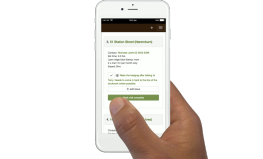 Employees can also note special requests or problem areas from a mobile phone if something comes up during a customer visit. 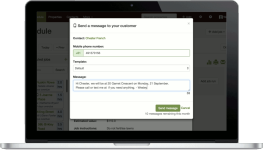 SortScape automates the process of sending SMS messages to customers letting them know when you plan to visit. That way they can let you know of any extra work they need done. This means additional income for you and time saved from manually pecking out the same message over and over again. SortScape puts customer information at your fingertips. Quickly look up phone numbers, maps, photos, documents and a complete work history for any customer wherever you are. 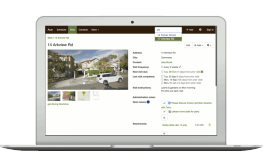 All your important customer information is in one place, secure and accessible from anywhere. 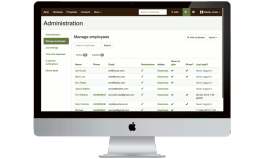 Provide each of your employees a login so that only they can access your information. Furthermore, you can grant special permissions so that employees can only access the features they need to use. 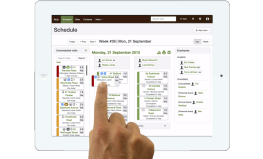 "What an amazing product/piece of software!It has transformed my arduous daily grind of scheduling staff, jobs and materials to a quicker, enjoyable activity that saves me hours per week. Endless 'what if' possibilities can be actioned so easily and quickly. At a glance, you can see the future." Choose the option that fits your business. Cancel any time! * Paid monthly in advance. Cancel any time. We can also import your data. Add 10-employee bundles for a price of $49/month per 10 employees. Hosted in the cloud and accessible from anywhere so you don’t have to fiddle around with complicated setup steps. Don’t waste precious time learning complicated software. Get up and running in an hour. Start with a small number of employees and add more employees as you need them. All your data is backed up daily so you don’t need to worry about losing your critical information.